A simple flexible structure has been designed to form a stage for the events of the ‘Leibniz-Year 2016’ in order to commemorate the polymath scientist and the foundation itself. With a series of L- shaped angles the fan-like structure can unfold itself around a central pivot point to frame discussions and lectures wiht a platform and a roof. 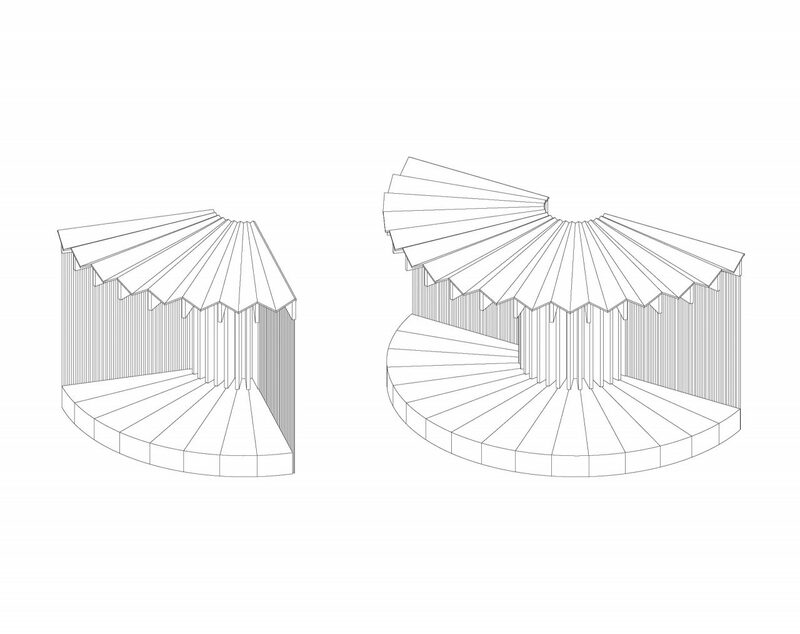 Depending on the format of the event the pavilion can adapt itself to form various sizes from quarter to full circles. Similar to an accordion a light weight frame structure is covered with flexible fabric to expand for performances and to contract for transport. 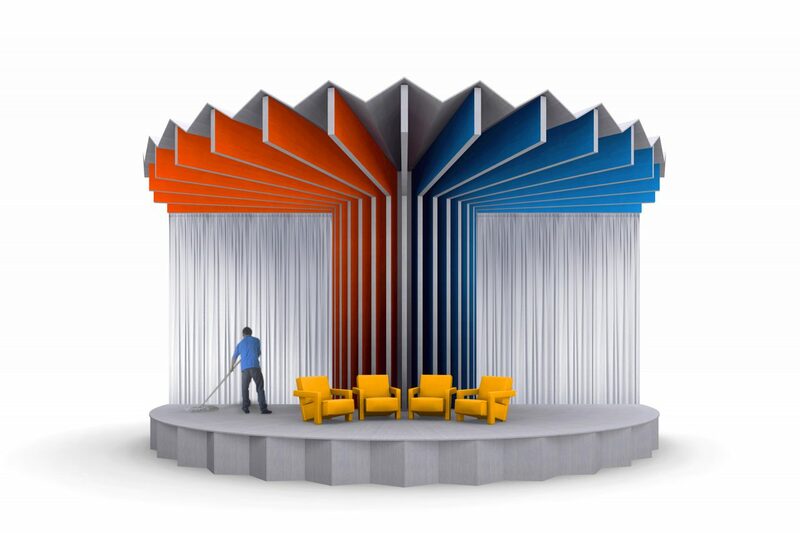 A bi-coloured finish for the structural Ls provides lively views form different angles and turns the stage into a beacon for any event. In collaboration with Eva-Maria Stadelmann und Frank Joachim Wössner.